When I read books for review, I periodically jot down things I want to remember to include about the story or the characters. By the time I reached chapter two of Imperfect Wings, I was so engrossed in the story, I tossed the pen aside because I couldn’t put the book down long enough to write a single note. That’s how enthralling this book is. If you like action-packed romantic suspense with an emphasis on the suspense and a touch of thriller, I highly recommend this book. The heroine was on a mission. But was it justice she wanted—or revenge? Either way, the fact that she witnessed a murder created further tragedy she couldn’t foresee and put many more innocent people in danger. Once she’d succeeded in rescuing the children from an orphanage in Honduras, her focus shifted to remaining a step ahead of her would-be captors and simply staying alive. Her journey took her to middle-of-nowhere Idaho, where she finally began to feel safe, and where the host family was determined to protect her. But was it enough? I invite you to grab a copy of this book, and hang on to your seat for a thrilling ride! T. J. McKendrick – A petite frame doesn’t necessarily mean fragility, and T. J. was hardly delicate. In fact, she could hold her own with well-trained men more than twice her size. But remaining hidden until she could testify in a trial that was sure to convict some evil people proved to be the biggest challenge of her life. Don Rafael Castillo (“the Butcher”) had an agenda. He power, and he wanted T.J. dead. So did people in higher places with even more at risk. Garrett Cameron gladly traded a life of violence for running his family’s ranch. However, the past would not let go of him, and he found himself bound to protect a person who’d already created havoc for him once before. Mallory Cameron, one of the Cameron men’s younger sisters, knew them as well as anyone, and had no trouble discerning the heart of her older brother. Agent Kevin Fowler was the person in charge of her safety and protection. Why was the warning in Mississippi so late it almost got her killed? And who were the intriguing Cowboy, Rascal, Iceman, Dingo, Romeo, Farmboy, and Dawg, among others? Got to read the book to find out! Elizabeth Noyes spent fourteen years working as a professional writer for a private company. After she retired, she began writing full-time, and has published A Dozen Apologies, a collaborative work involving twelve authors. Online readers selected her character as the favorite hero, which entitled her to write the final chapter of the book. Another collaborative book in which Elizabeth contributed, Love Boat Bachelor, released Valentine’s Day, 2015. 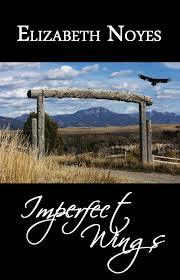 Imperfect Wings, her first full-length novel, was a CAT 5 winner in the 2013 Writers on the Storm contest. It is the first of her Imperfect Series, and the Book Two, Imperfect Trust, is due out this year. 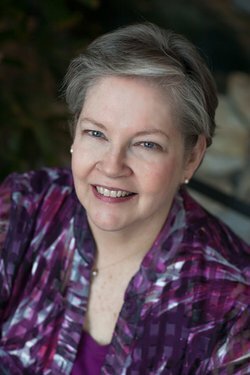 Elizabeth lives with her husband outside Atlanta, and is a member of American Christian Fiction Writers. She shares her expertise in a critique group, and is a mighty encourager. Elizabeth was a featured author in the Jan/Feb 2015 the edition of Southern Writers Magazine. You can purchase her books at http://www.amazon.com/, and learn more about her by visiting her blog at http://elizabethnoyeswrites.com/. You are currently browsing the Ramblings of a Crowded Mind blog archives for April, 2015.